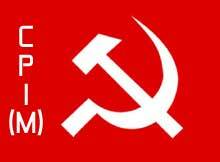 The CPI(M) party would contest 2 Lok Sabha and 12 assembly seats in Odisha in the upcoming general elections in April. Announcing the names of the candidates at the party’s head office, CPM state secretary Janardan Pati said – the names of two candidates for Satyabadi constituency in Puri district and Paralakhemundi constituency in Gajapati district would be announced later. “For Balasore Lok Sabha seat, we have sent the name of the candidate to the Central Politbureau and would announce the name after we receive its nod,” Pati said.